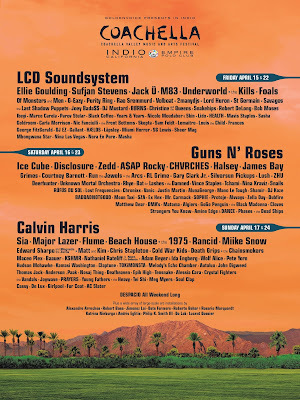 Guns N’ Roses have been announced as one of the headliners for the Coachella Music & Arts Festival in Indio, CA this spring. 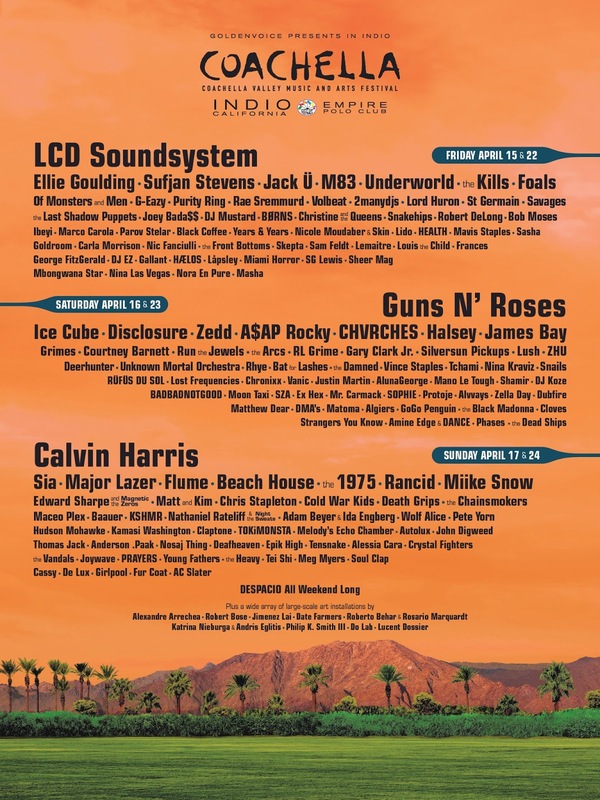 Organizers officially revealed the lineup on Monday, with GNR set to top the bill on April 16 and 23 as part of the two-weekend event running April 15-17 and April 22-24; other headliners include a reunited LCD Soundsystem, and Calvin Harris. 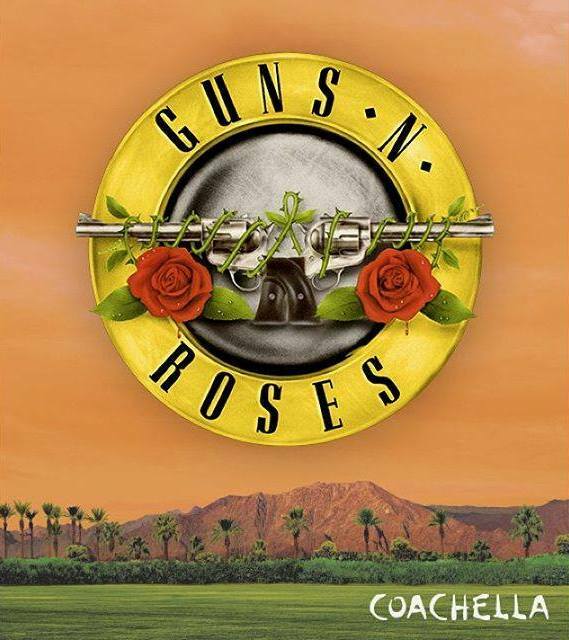 While the Coachella announcement made no reference to the Guns N’ Roses lineup, the group shared the news via their social media sites, as did Slash and bassist Duff McKagan. It is expected the rumored reunion will feature at least those three original members, but the remainder of the lineup remains unconfirmed at this time pending official word from the band. Slash last performed as a member of Guns N’ Roses at River Plate Stadium in Buenos Aires, Argentina on July 17, 1993, while McKagan has appeared with the group several times in recent years – including a spring 2014 tour of South America while filling in for Tommy Stinson.